Handling Alberta terrain through snow or dirt can sometimes be a challenge—but that doesn’t mean it’s completely impossible. With both of Ford’s intelligent drivetrain technologies readily available for most Ford vehicles, handling the roads is just downright easy. Ford created both the Intelligent 4-Wheel Drive (4WD) and the Intelligent All-Wheel Drive (AWD) systems to confidently maneuver different road conditions and monitor which wheels require more traction. But what exactly is the difference between the two different technologies?  Let us here at Team Ford explain! You can also browse our inventory to see which vehicles have the drivetrain technology you’re looking for. If you’re still not sure which one is best for you, contact us or visit our dealership to learn more! What sets the Intelligent 4WD technology apart from other drivetrains is that it focuses more on extreme off-road situations and adventures. Some of these terrains may include mud, ruts, sand, snow, gravel, grass, and even dirt. The Intelligent 4WD transmits power and torque equally on all four wheels to increase the traction while driving. Another great advantage of 4WD is that you can control how much traction the vehicle uses with the flip of a switch. You can choose between a high or low 4WD setting, depending on the kind of roads you’re driving. Whereas 4WD focuses on extreme off-road driving, the technology behind the Intelligent AWD is more geared towards everyday handling and traction on city roads and highways. The Intelligent AWD is always on because it’s the main drivetrain of the vehicle, which distributes power to both the front and rear axles before reaching each individual wheel. This is perfect for driving in the city because it’s versatile enough to be used for both the winter and the summer.